A man has been hailed as a hero after a dramatic river rescue yesterday (Sunday, September 30). Jack Bennett did not hesitate when a woman was seen to fall into the River Ouse at Railway Lane, Lewes. He threw himself into the water and managed to get her to the safety of the riverbank in an action described as ‘courageous’. 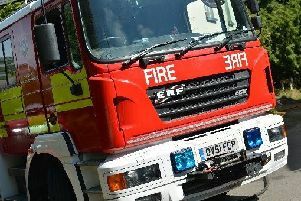 Watch Manager Green Watch Andy Watson said: “Crews on the scene were extremely grateful of the assistance of a courageous member of the public. Jack Bennett, from The John Harvey Tavern, entered the water when he saw the woman in trouble and managed to get her to the riverbank.